Topical anesthesia is often used for cleaning procedures by our hygienists. It is also the first agent used prior to injection of a local anesthetic to help make injection as comfortable as possible. Nitrous Oxide, sometimes referred to as “laughing gas”, can be used to help you relax and produce a light sedation or disassociation from the procedure. Many of our patients choose this option to assist with their regular cleanings or short periodontal procedures. The effects are fully reversible, which allows you to drive shortly after the procedure. Oral medication is sometimes prescribed prior to treatment to reduce anxiety and allay fears. The medication is usually taken at least one hour prior to treatment and is used in conjunction with intraoral local anesthetic. After taking oral medication for conscious sedation, someone will need to drive you to and from the appointment. Intravenous medication is recommended for patients undergoing extensive periodontal or implant procedures or to reduce fear and anxiety associated with even short procedures. During I.V. conscious sedation incremental doses of sedative medication is given until you feel drowsy and sleepy. 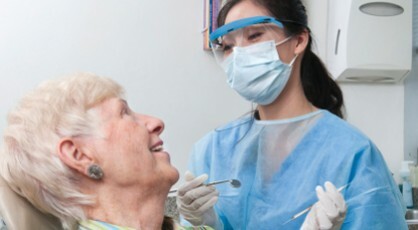 During the procedure you are able to breathe on your own, clear your throat if necessary, and respond when spoken to. Vital signs are monitored and supplemental oxygen is delivered to ensure your safety during the procedure. Most people do not remember anything about the procedure after being sedated. You must have someone drive you to and from the appointment and avoid eating or drinking for at least four hours prior to the procedure. We work with several anesthesiologists in the area to provide general anesthesia when needed for children or medically compromised adults, or when the scope of treatment requires long procedures not suitable for other anesthesia modalities. The anesthesiologists with whom we work are personable and informative and would be happy to answer your questions regarding their services.